Throughout his career, Makoto has released tracks across a number of labels and DJ’d all over the globe, from Asia to the UK, North America to South America and of course, all of Europe. For this project however, the man most famously known as being Japan’s chief Drum and Bass ambassador is sharing the spotlight with artists which he believes showcase the true spirit of Japan’s vibrant underground scene. 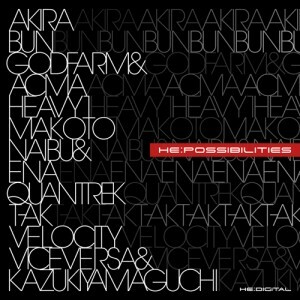 Bringing together a diverse array of fresh beats, lush moods and driving vibes, HE:Possibilities represents the crystallization of what Makoto truly feels is the essence behind Japan’s current electronic music movement. 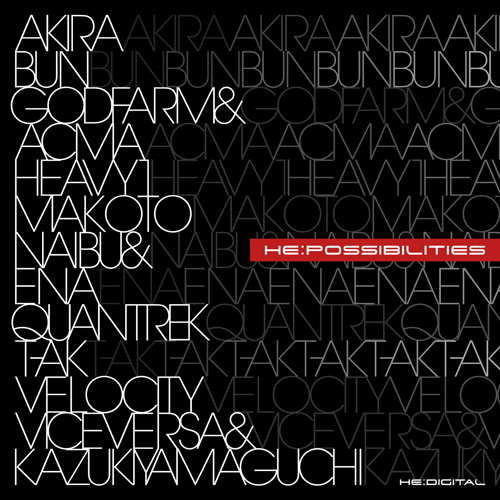 Swinging from downtempo to drum and bass and house, the compilation is a landmark achievement not only for its unique offering to listeners, but also as a triumph for Makoto, who is proud to show the world the possibilities that lie within not just the scene in Japan, but inside of everyone’s local clubs, venues and studios.